This thread will not only contain isos, but certainly decals and materials as well in future. [Advanced WIP] Actual theme "Command and Conquer" 09 February 2016. Modeling are finished, at least the exteriors. Some more or less serious driving and balancing issues to fix. I have lost some materials and the custom decals used for the tanks with my old PC so if someone can find a way to extract them from vciso files, seriously, I will be glad. From C&C 3 and 4. [ AD 48 ]-Prototype (here my hundreds hours project). Icarus Armament Division present their new Prototype of Assault Dropship (WIP) designed for special operations. This one can carry 12 passengers(crew:2, Troops:10). Offensive equipment consists of missile launchers and tri-cannon Machine Gun. The Prototype colors pattern use black orange, and grey when the standard models are customized following the users desires. My personnal project. I tried to polish it as far as I can, but it still several think to do like improving materials, modifying certains areas, and changing the turret when the turret editor will be added. I hope it worst it. Actual version is 48 an can be found on the workshop under the name: AD 48. So it still WIP. - Piloting it is not like the other isos. Since the takeoff and during flight this one will not stop moving forward by default. It's like a crossbreed between copter and plane. If you plan to land it in restristed area like an helicopter, it will require pratice. You can reduce its speed and stop it by holding the down arrow key. A landing strip for plane will be certainly the best choise. - The huge number of vtol rotors is necessary to counter the Airship truster effect. Without them, it will just turnover and stuck itself on the ground . If possible give your impressions about piloting. I love how it takeoff and how it fly, that why I didn't change the airship thrusters location. Look easy to do but things like this give really headaches. Recently I have read this message. Since this moment I have skipped my work on AD 48"s decals, because it don't worst it right now (maybe later), for finding another solution. So I have clean 2 materials for free change their diffuse texture and maybe their bump too. The third I wanted to clean occur with too much important areas, so I don't want to touch them and I surrender this idea. Painting them is the best option if you have enough patience, in the other hand there not so much pannels with B Base material. (Note, only the canopy frame decal (2A885...) is really necessary. You can delete the other one if you have frate rate issues). Canopy too can be painted or the diffuse texture can be changed by another color.png. Someone asked by PM me to add these materials. Well, they are very basic in my point of view but while waiting for glass material it still very interesting to use because it can hide bumps, at least to some extent. There LOW and HD versions. LOW for making curved areas and HD for flat areas. Re: Icarus Armament Division thread. looks awesome! do you have a link to the ISO file? or are you not uploading it yet? You can download it from the ingame multiplayer workshop place if you have created a MP character, go on the workshop tab and search the most downloaded isos of the week (iso name AD 48). I am trying to upload it to planet explorer-iso but I have a login issue. This is not working for me, I can filter it to most downloaded isos of the week, but it brings up over 400 pages worth. When I try to search by name, it loads forever and never shows anything. Don't search by name, AD 48 is in page 2 if there is no name in the research tab. Looks epic everything fits perfectly with so many cool details, even on the inside. Maybe some day we will be able to pick up 11 npc's and drop them on an enemy base. Why did you pick helicopter instead of battleship? Well, If you always have frame rate issues after having removed all decal, it's a problem. This will be sole mostly when the game will be optimized, because right now the game isn't optimized for decals, + every hidden voxels texture are calculated. I have downloaded some isos far more laggy than this one. It was difficult to work on it at the end. When I started this project the battleship editor wasn't released. And I don't know if my weak laptop could support a battleship of this level. I just hope this iso could have good days in future, once the game will be optimized. Until this time I will try to improve it(textures and other) and start other projects more easier because thousands hours for this one is to much. At least I have learn very much about the editor game mechanic with this one so I hope I will progress faster for the others. This is probably the most complex and awesome vehicle I have had the privilege of witnessing. Amazing work, words cannot describe how impressed I am. I kinda need to raise the bar now, lol. Thanks. It was a bunch of work too. I hope devs will add more tools for making things faster. GDI Predator & Mammoth and Kodiak have just been uploaded to the multiplayer PE worshop. 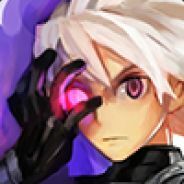 I have created a Steam collection to manage them. Sorry, updated pictures will come next week. I can't correct the front corners much more. If the editor allow to make diagonals between 2 axis, it if not the case for diagonals between 3 axis. There is nothing we can really do against it. Rear before and polish by using mirroring because area is too small for using other methods. Wheels of the original version should be between the rubber tire and the large rubber tire diameter, so it is a huge difference. Unfortunaly we can't resize wheels. GDI Kodiak has been re-ulpoaded on the Steam Workshop in wood version and can fly again since months. There is a very little issue while it turn, I'm not able to fix it totaly even if I tried a lot but it should not be annoying. Not working Isos since 0.9: Mammoth Mk3 is too heavy->so too slow, A.D.S can't fly. Note: Raider have some decals issue that the devs haven't fixed yet (but the issue still occur with their own decals too. You can see it in their last steam video.) So please change the decals properties from diffuse to emissive.